Alpha: A Holy Flaring Forth! A Big Bang! A Cosmic Christ! Omega: A Holy alphabet chanting itself into being! A Universe singing to itself. Adventus means coming. This year, on November 30, we end Ordinary Time in the Liturgical cycle and begin a four Sunday celebration leading up to Christmas. 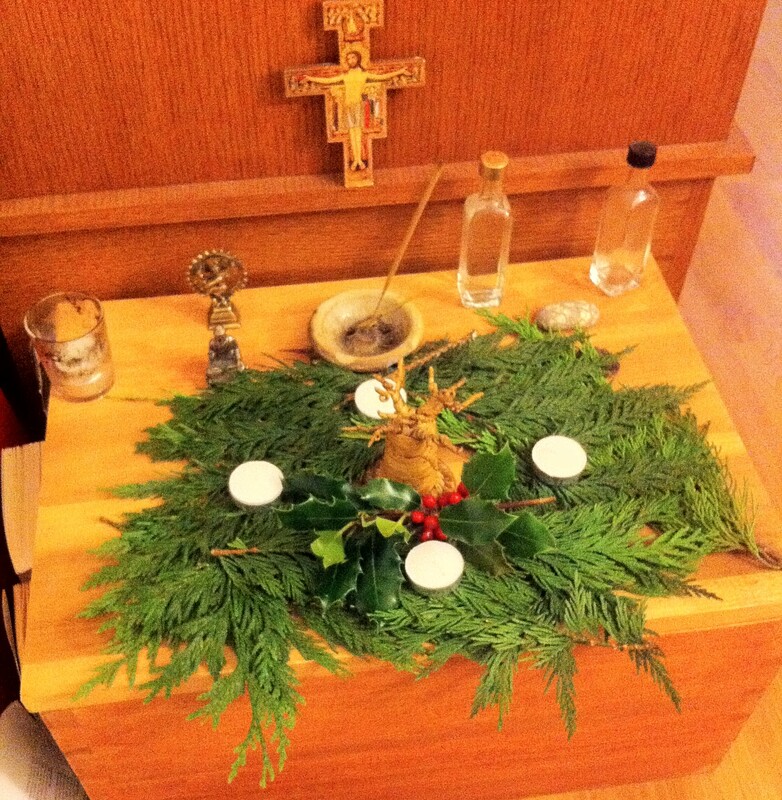 This year I am trying to deepen my experience of Christmas by making a small Advent Wreath on my personal altar and having daily contemplative devotionals leading up to Christmas day. 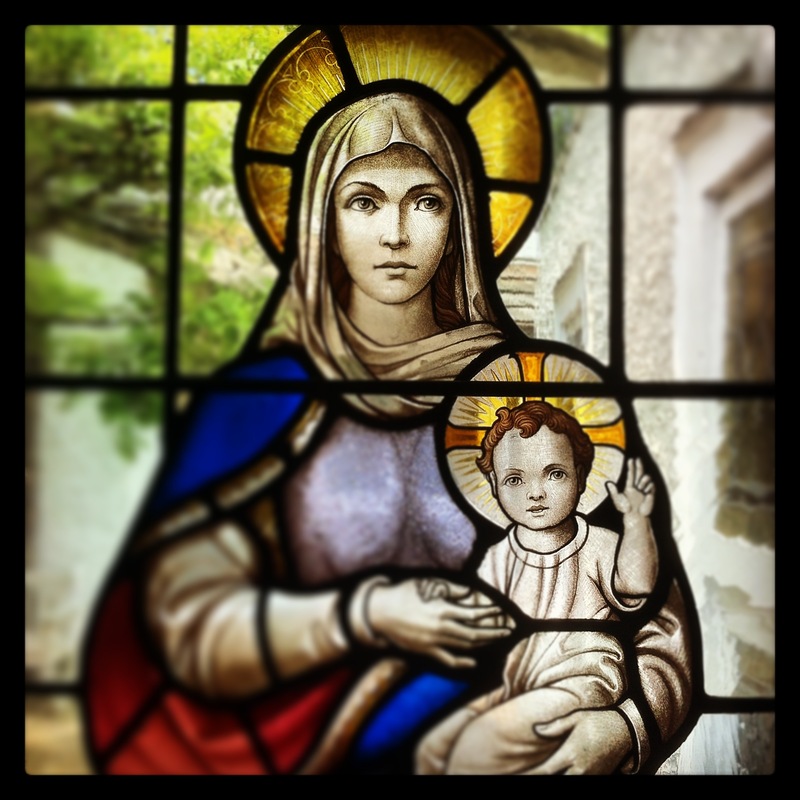 Growing up, the secular rituals of gift giving, and the sentimental retelling of the nativity scene were fun, but this year I am trying to take more seriously what a story about a child born in a barn has to do with my fledgling contemplative spirituality within the Anglican Church. The exact date of Christ’s birth may be unknown, but the choosing of December 25th as a fit day for celebration comes to us thanks to the Winter Solstice. 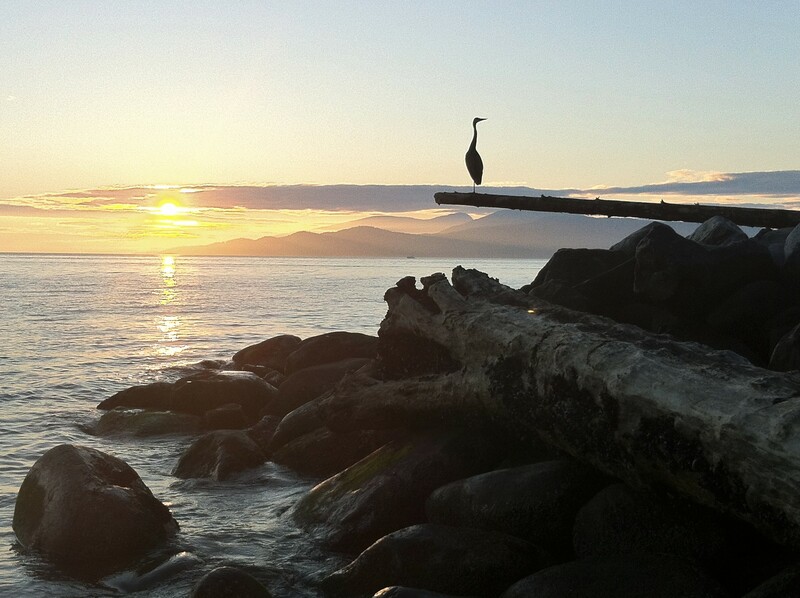 It is on this day that we celebrate the sun ending its six month droop in the sky, and hence beginning his slow march back toward spring and summer. We celebrate the coming end of long darkness. Advent then is a time of Holy Waiting for the end of spiritual darkness; of anticipation for Christ’s birth, but also hope for his return. In Trinitarian Christianity the event of Christ’s birth is referred to as the Incarnation. God became flesh in the person of Jesus of Nazareth (Mormons might call this a Condescension; see 1 Nephi 11). What has humbled me most about this idea is that it means that Christ did not just descend to the earth and then leave when he died 33 years later like some Holy Alien. According to the familiar words of John “In the beginning was the Word, and the word was with God, and the Word was God” (1:1). If Christ is the Word of God then Creation is the alphabet. Another analogy from Paul’s letter to the Colossians: “He [Jesus] is the image of the invisible God, the firstborn of all creation; for in him all things in heaven and on earth were created, things visible and invisible, whether thrones or dominions or rulers or powers—all things have been through him and for him. He himself is before all things, and in him all things hold together” (1:15-17). Jesus as Christ is an Icon (image) of God in Creation. Christ is both the expression of God and the Image of God. Thus, we might say, as many have that the Incarnation began not just with the blessed birth of Jesus, but also with the Great Flaring Forth of the universe 13.8 billion years ago from a single point trillions of degrees hot. This is a tremendously powerful notion for me. At the center of a sometimes silly pastel plastic Nativity scene, is not only our God and our Savior, but a reassurance that we live in a Holy Universe. This year I have created an Advent Retreat called Holy Waiting in a Holy Universe. I have divided the four weeks of Advent into the traditional four elements (Fire, Air, Water, and Earth), juxtaposing scriptures about each element with scriptures about the Coming of Christ. I hope that each day I will deepen my understanding of what it means to live in an Incarnational Universe. The gifts I give to family and friends will be offerings that remind us that we live in such a universe. Blessings to you and yours during this time of Holy Waiting and please feel free to follow along with me on my Advent retreat! There is something about being in a place that our spiritual, historical or literary ancestors have once tread. Ones that walked, worked, wrote or traveled through a place or landscape. The practice of retracing their steps is an ancient human practice, we call pilgrimage. I didn’t go on foot, but between a lovely wedding in Chicago among family and an amazing Religion and Ecology conference in New Haven among friends, I was lucky enough through the grace of some old friends to visit several of these places over the last week. While in Madison, Wisconsin we travelled by car just north of Baraboo to a small shack on the western shore of the Wisconsin River. It was here that Aldo Leopold, Yale Alumnus and ecology saint wrote his famous A Sand County Almanac. The locale is no pristine wilderness, a sandy soiled pine forest that gives way to riparian grasses and shrubs at the river’s edge. But walking the numbered stations of the Leopold Foundation’s pamphlet, like an ecological stations of the cross, those typical trees took on the spirit of the Leopold family, who planted the trees in an act of ecological restoration. 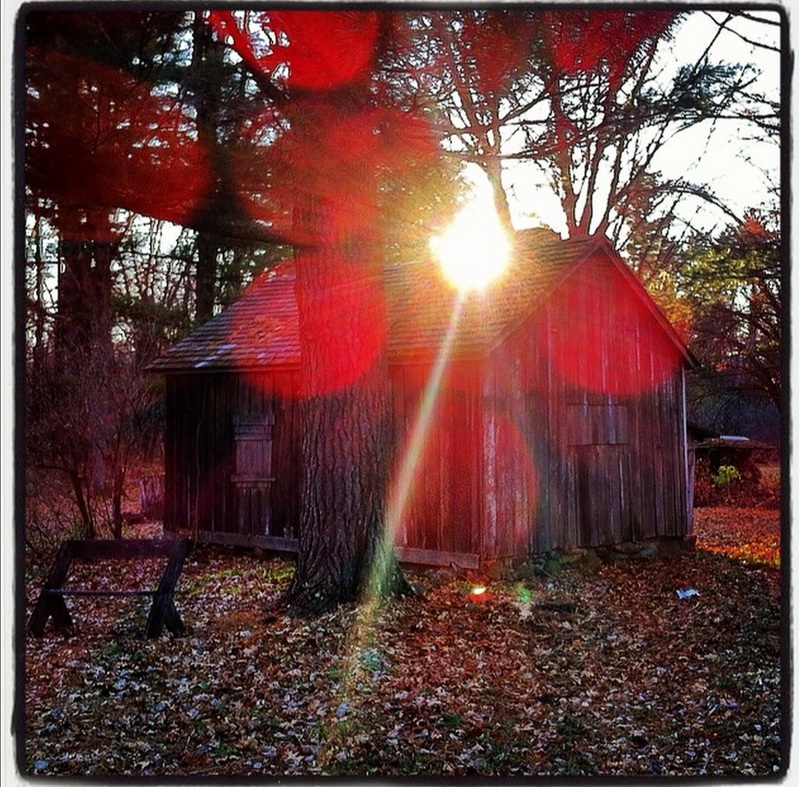 The shack as temple in a sacred grove. A temple, not of worship or divinity, but a tangible shrine to one of the early voices to suggest that humanity was not conqueror of Nature, but citizen. As we stood on the sandy river shore in silence, water lapping against the sandy ground, a flock of 15 sand hill cranes passed overhead on their way to their nightly roost. The water was deep blue and the air was chilly when the sun passed behind clouds. There was nothing otherworldly about the experience, but it certainly enriched my love for Leopold and his contribution to the ecology movement. On foot, I seek an inconspicuous corner of 1st Street in East Village, Manhattan. 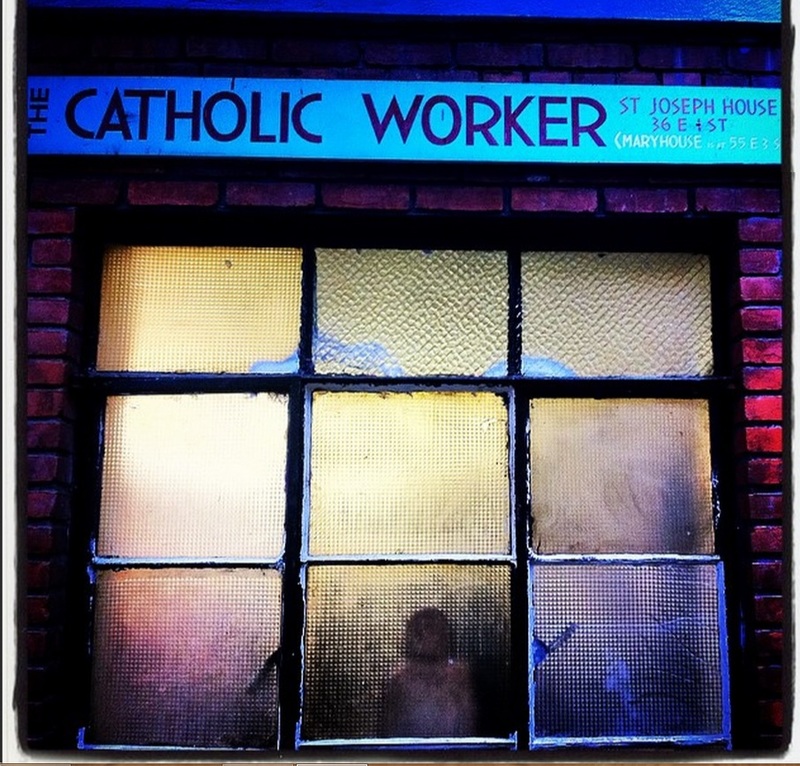 The St. Joseph Catholic Worker House of Hospitality has been in continuous operation since Peter Maurin and Dorothy Day founded them in 1936. When I arrived, a small crew of volunteers that included two Mormon missionaries, were serving a simple soup, and a smiling woman made the rounds topping off coffee mugs. The guests sat mostly in silence, some in quiet conversation. I struck up a short conversation with a volunteer and he immediately offered to let me serve some coffee. We chatted about the project, the place, and Dorothy Day, the movement’s founder, who is currently being reviewed by the Vatican for Canonization. The Catholic Worker Movement is a lot like other homeless shelters, but more than that it was an early socialist attempt to live the Gospel by fulfilling Jesus’s command to feed the hungry, clothe the naked, and visit the sick. They espouse a simple philosophy of Christian pacifism, agrarianism and personalism. They serve daily meals and give free clothing away and house several dozen people on a temporary basis. A drop in the bucket in a city of 8 million, but just looking around I could feel of Dorothy’s spirit, silently fulfilling the most basic of Christian practices. A young parish priest opened the Rectory door of Corpus Christi Church in Morningside Heights and asked “How can I help you?” I told him I was a reader of Thomas Merton, and asked if I could see the chapel. 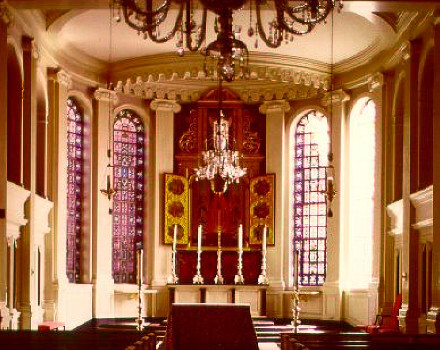 Without hesitation, he slipped into tour guide mode, opened the door and showed me to the room where Merton first met with Father George Barry Ford. A small hand painted portrait of Merton hung on the north wall. The Priest showed me into the church and guided me toward the back of the chapel to a small baptistery where Merton was baptized. The church was beautiful, built in 1936 in a Baroque Revival style. A little too ornate for my taste, and nothing like the Cathedrals I had visited throughout the day in Manhattan. But the place help a special presence as the place where Thomas Merton worked out his conversation and eventual decision to join the Trappists in Gethsemani Abbey, Kentucky. Merton went on to become one of the most influential Catholics of the 20th century, and his writing is widely read. I am no expert on these writers, but they have all, Leopold, Day and Merton influenced by thinking, the way I live my life and the subject of my research. Being in the places where these wonderful human beings worked out their own questions, ideas and lives gave me a kind of strength and assurance that I was at least moving in the right direction.